There is nothing more exhilarating and awe-inspiring than gazing upon the skyline of a beautiful city from the observation deck of one of the world’s tallest skyscrapers. From their humble beginnings, observation decks have allowed visitors to get a bird’s-eye view of amazing cities like Paris, where the Eiffel tower’s observation deck is still the most visited in the world. But if you are looking for the thrill of hanging out above the clouds, check out the 5 highest observation decks in the world. 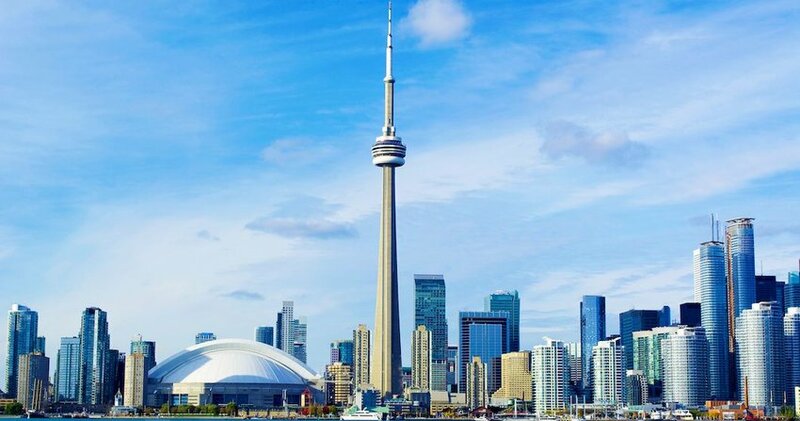 The CN Tower has dominated the Toronto skyline since 1976. Standing at 1,815 feet tall, the tower is the most celebrated and iconic feature of the city. However, it’s the observation deck that gets all the press as the highest deck in North America—topping out at an impressive 1,466 feet. This architectural marvel includes awesome activities and world-class dining and is a must-see for anyone visiting Toronto. Views from the panoramic “Window Walls” and all-glass elevators will leave you breathless. For the dare-devil in you, check out EdgeWalk, the world’s highest “hands-free” external walk. You will be suspended 116 stories above the ground and the experience will leave any thrill seeker begging for more. We have to travel to China to get a glimpse at number four on our list. Don’t worry, we will return to China again, as the country seems to dominate this high-flying list of observation decks. 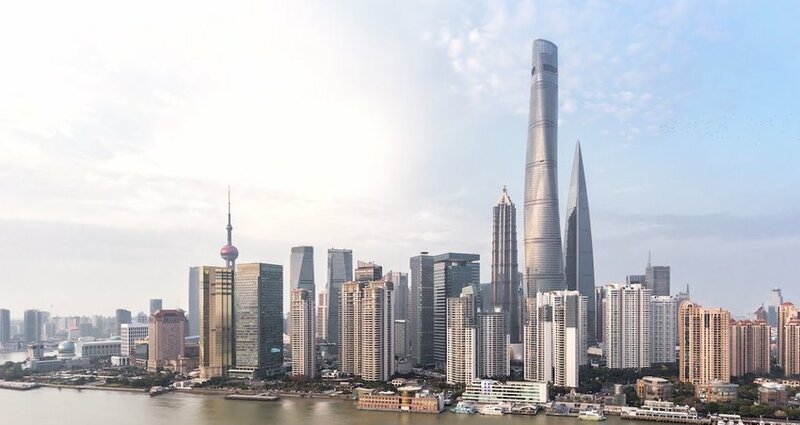 First up is the 101-story, 1,622-foot-tall Shanghai World Financial Center, which was completed in 2008. Its deck tops out at 1,555 feet, just 65 feet from its actual building height. It’s no slacker. The SWFC held the world’s highest observation deck title from 2008 to 2010. The most unique feature of its design is the trapezoid opening at the peak, making it look like a giant bottle opener. Treat yourself to a walk in the sky at Sky Walk 100, where you will get unimaginable views of Shanghai through the three-sided glass walkway. 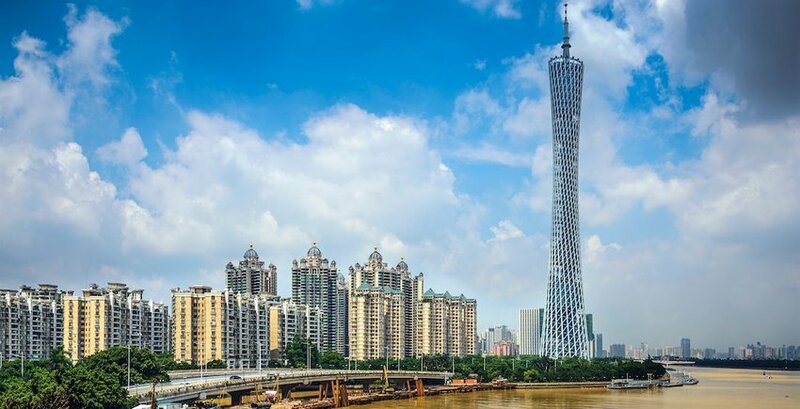 Staying in China, Guangzhou is home to the 1,969-foot-tall Canton Tower. It just beats out the SWFC at 1,601 feet. In addition to being number three on the highest-deck list, Canton Tower also holds another record–the highest Ferris wheel in the world. On top of the tower, pods make a journey around the building on an inclined track and will please visitors of all ages. If you like spiral staircases, make sure you check out Zone D (aka the “Spider Walk”) to experience the longest spiral staircase in the world. You have to be in pretty good shape in order to climb the 1,096 see-through stairs that go from 551 feet to 1095 feet high, though. 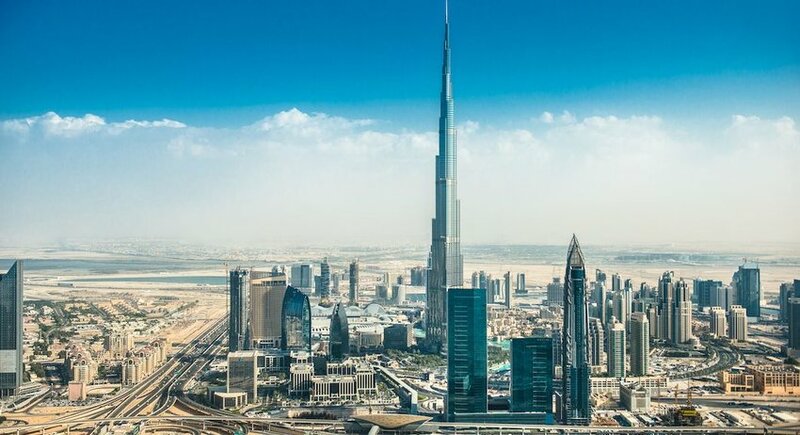 Burj Khalifa in Dubai takes home the title as the world’s tallest building at 2,723 feet but only comes in second place for its observation deck, which tops out at 1,823 feet. That’s okay because the tower holds six other tall building world records. If you want to dine at a Michelin-starred restaurant at 1,500 feet in the sky, check out At.Mosphere on the 122nd floor for awe-inspiring vistas of Downtown Dubai and the Arabian Gulf. The Burj Khalifa is simply a remarkable feat of engineering and holds many records of design and function. Inspiration was drawn from the Hymenocallis, or Spider Lily, where the three sections of the tower are arranged around the central core. When viewed from the top, the onion shape is reminiscent of designs used in Islamic architecture–on a much bigger scale. The tower is so tall that is can be seen from 60 miles away. Topping our list of world’s highest observation decks brings us back to China and the Shanghai Tower. The 2,073-foot-tall tower opened in 2015 and its 1,841-foot observation deck currently holds the world record for highest up. This architectural marvel is beautiful with its spiral-shaped design. There are tons of public venues that make the tower an amazing place to spend the day. Hit the Sky Gardens and Sky Museum as well as all the great shops throughout the building. 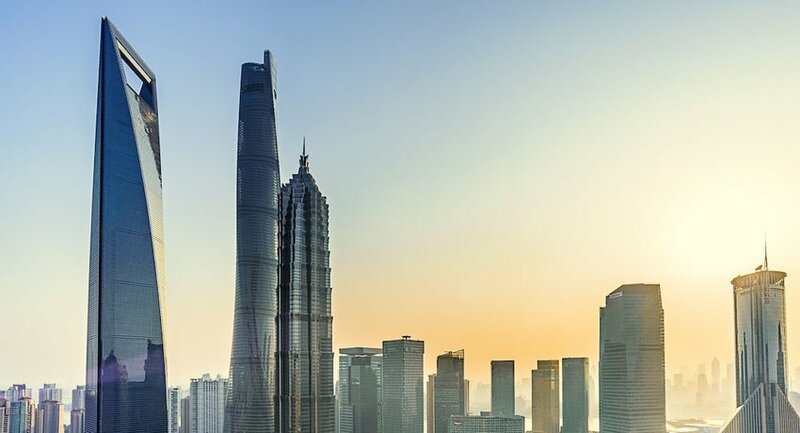 Shanghai Tower has another record-breaking feat to its name–the world’s fastest elevator, which takes you from the lobby to the 118th floor in just 55 seconds. That’s a mind-blowing 42.8 mph.